There is one professional baseball team in Iowa that is not affiliated with a major league club. The Sioux City Explorers. Commonly referred to as “The X’s,” the team plays in the independent American Association. 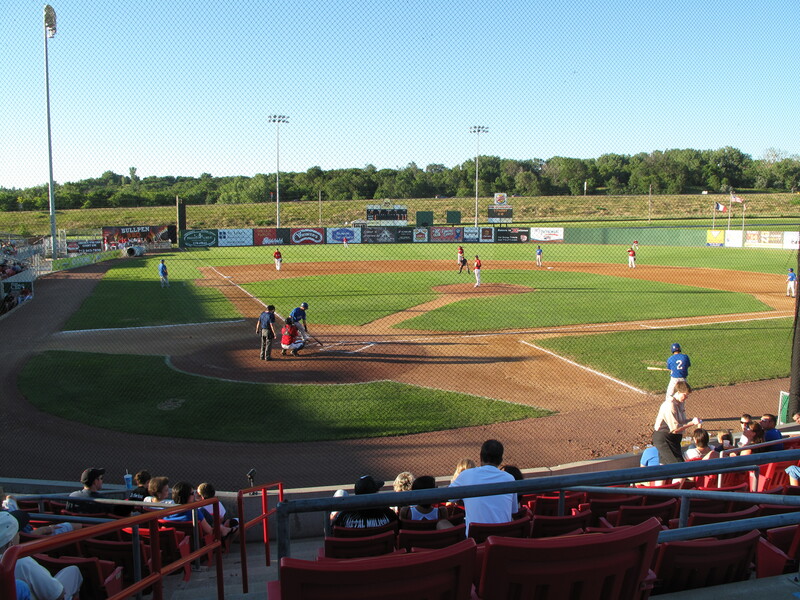 The home ballpark for the X’s is Lewis and Clark Park which is located at the intersection of Stadium Drive and Line Drive on Sioux City’s Southside. It’s just off of U.S. Highway 20…and near a bowling alley and a soap box derby track of all things. 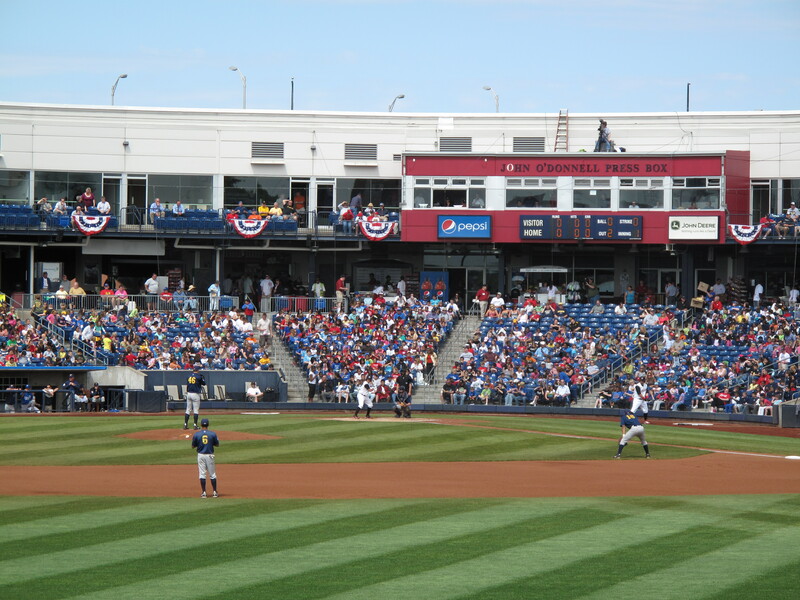 The ballpark opened in 1993 and seats more than 3,600 fans. It includes a few suites at the top of the stadium, and true box seats as well. The stadium opened just before the “open concourse” designs became all the rage, so unfortunately, fans can’t see the action while they order food from the concession stands. The most popular thing at Lewis and Clark Park on the night of my July 2010 visit? The “Beer Batter.” The designated Beer Batter for the night struck out in each of his first two at-bats, resulting in discounted beverages and a mad dash for X’s fans to the aforementioned concession stands. 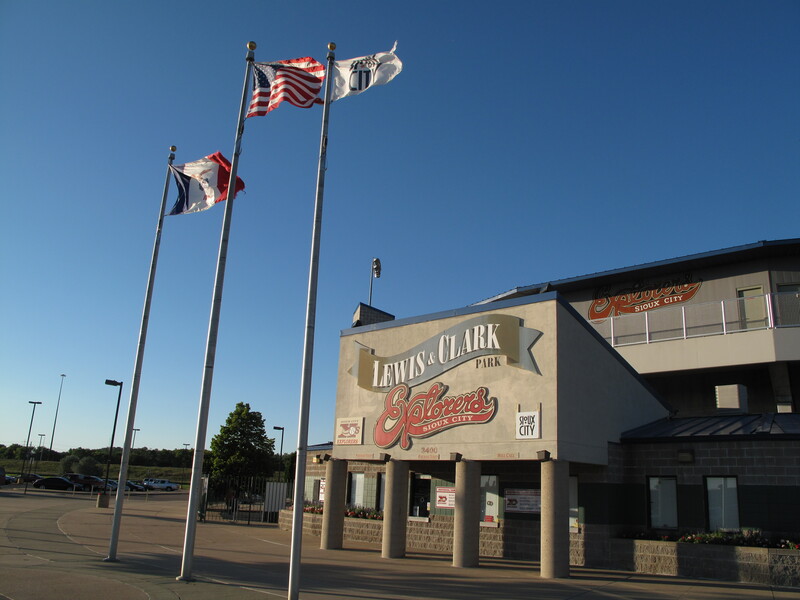 Although it is nothing flashy, Lewis and Clark Park is a serviceable ballpark that provides baseball fans in western Iowa a place to watch professional baseball without having to drive to other states, or make long drives within the state. 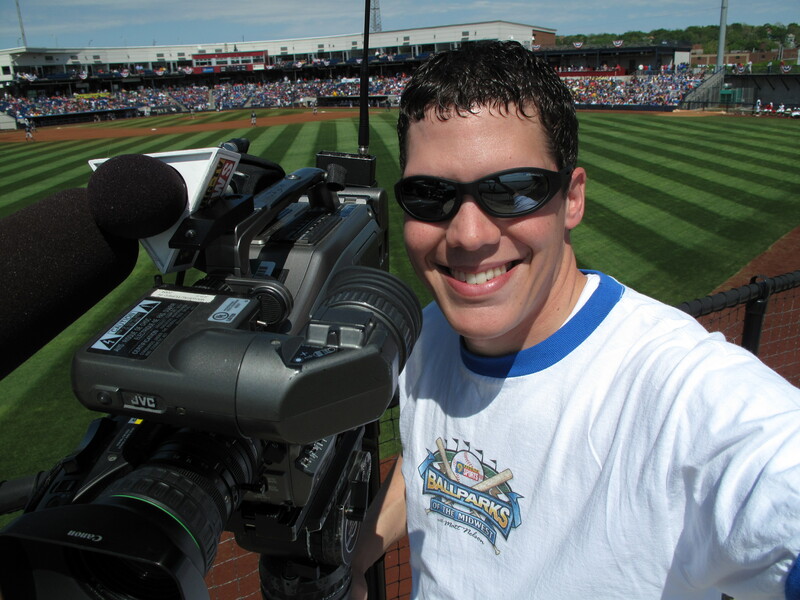 All of Matt’s “Ballparks of the Midwest” visits are available here, including video! They’re still getting used to this whole “baseball thing” in Bowling Green, Kentucky. 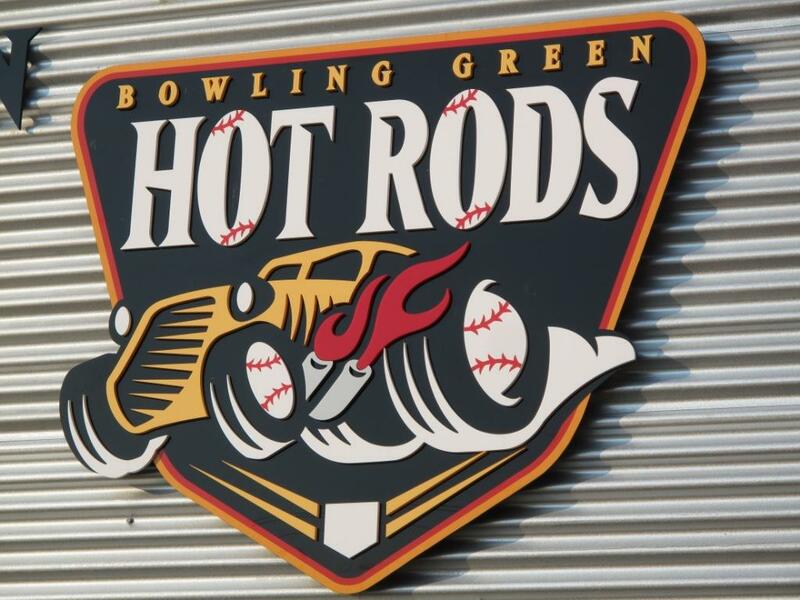 The franchise now known as the Bowling Green Hot Rods moved from Columbus, Georgia, prior to the 2009 season, and into a brand new ballpark near downtown, Bowling Green Ballpark. The fans have been turning out at a rate of about 3,000 fans per game in 2010, but the Hot Rods have been working to increase that. Just days before my visit to Bowling Green the team hosted “Super-Mega-Prize-A-Thon.” This giveaway involved giving away random items in large quantities. One person took home (well actually, they distributed them to fellow fans) 1,000 popsicles. Another took home live hissing cockroaches. All in an attempt to catch people’s attention and get them down to the ballpark. 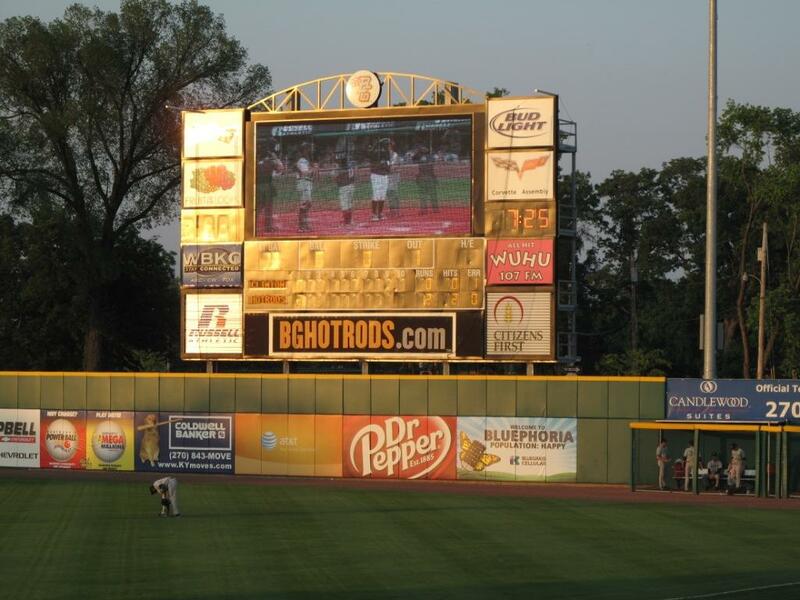 My visit to the home of the Hot Rods came during a 13 game home stand. It also came during a 13 game campout. 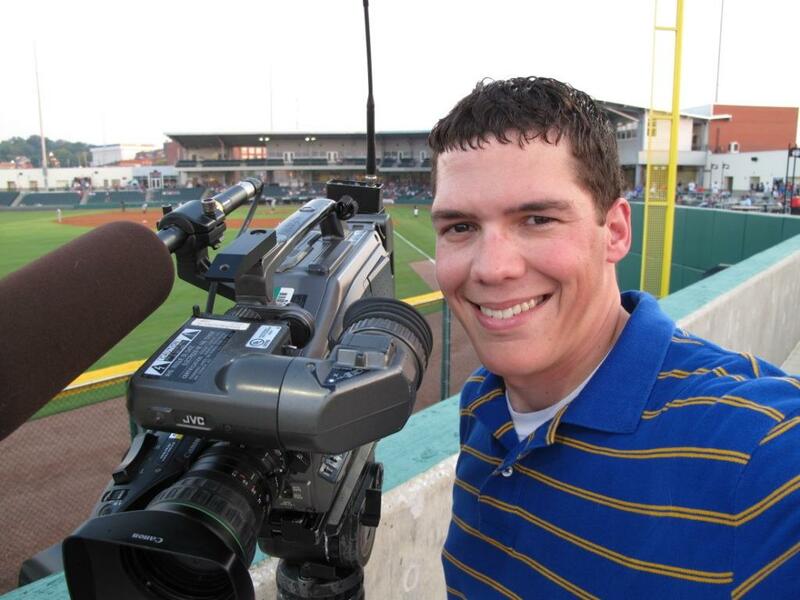 Kyle Hanrahan, who runs the team store, “The Body Shop,” is also the Hot Rods Community Affairs Dude. Yes, that is his actual title, it’s on his business card. 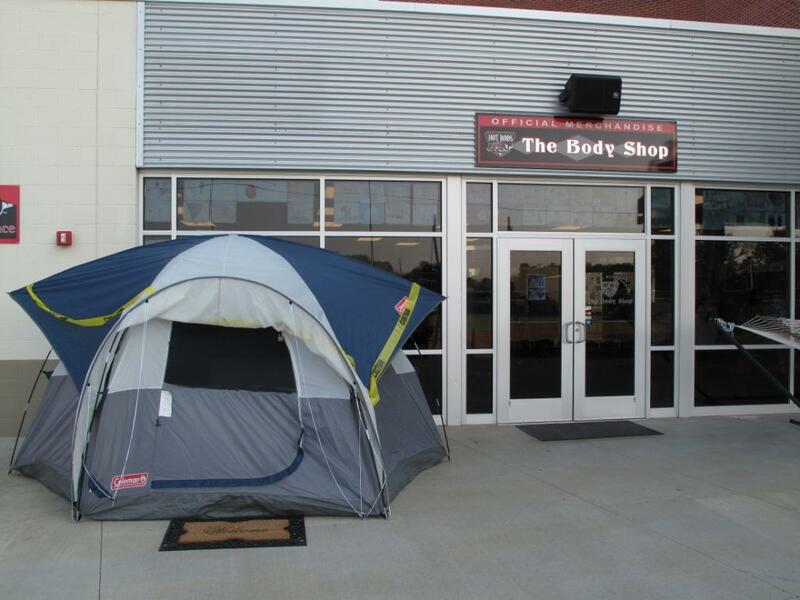 He decided since he’d be at the park so much during that home stand that he’d just camp out and raise money for charity, namely the Hospitality House. Hanrahan says it’s along the lines of a Ronald McDonald House. His tent was set up on the first base concourse, complete with a view of the video board in right field. 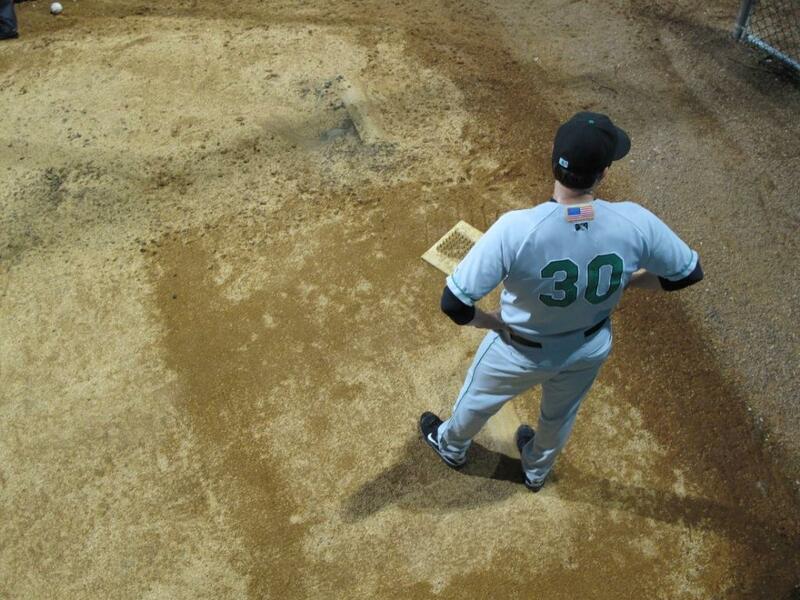 Hanrahan noted that it’s tough to get sleep at the ballpark. The cleaning crews wrap up their duties around 2am and by 4am the birds are chirping. 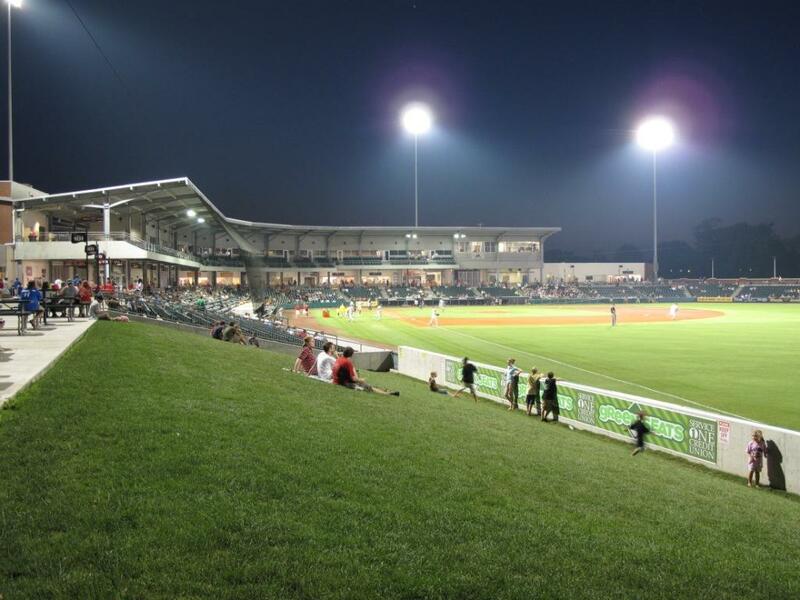 As for the ballpark itself, Bowling Green Ballpark is a nice new park to watch a game in, but it doesn’t break any new ground. The park has a nice brick exterior and the interior is similar to the design of most new ballparks. There is a gap in the outfield though so fans can’t walk all of the way around the inside of the park. The outfield is pretty unique. 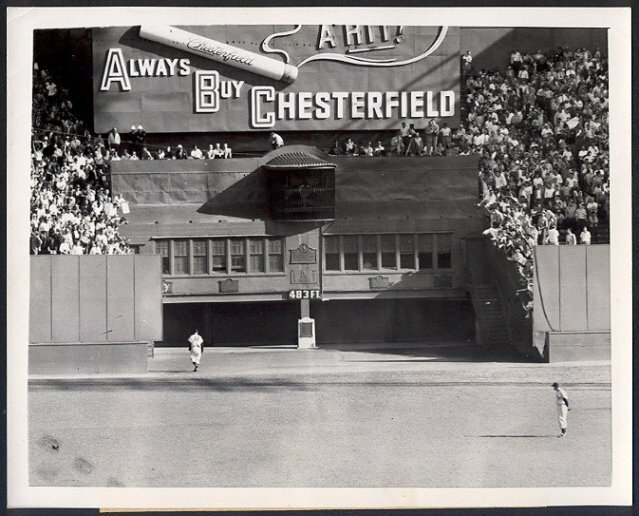 The team clubhouses are in Center Field so fans can watch the players enter the field from out there, kind of like the Giants and their opponents used to do at the old Polo Grounds in New York. Also, the Right Field fence curves in towards the field because it runs so close to the street that is just beyond it. One thing that members of the media take note of is the location of the press box. 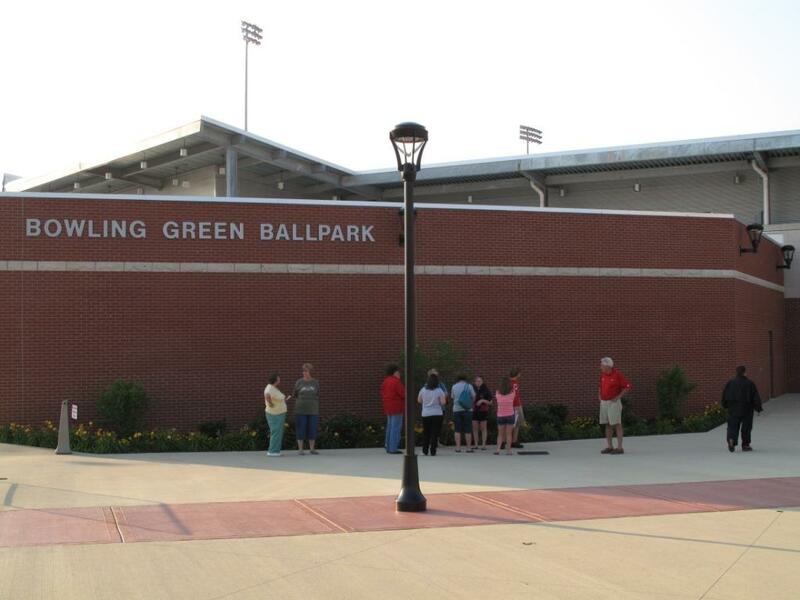 At Bowling Green Ballpark it’s actually down the third baseline which is a little different. The suite/press box level of the ballpark includes a bar/restaurant as well as suites and other group seating areas. I visited on a Tuesday night, but it was a pleasant Tuesday night in June, and that level was really being underutilized for that game. 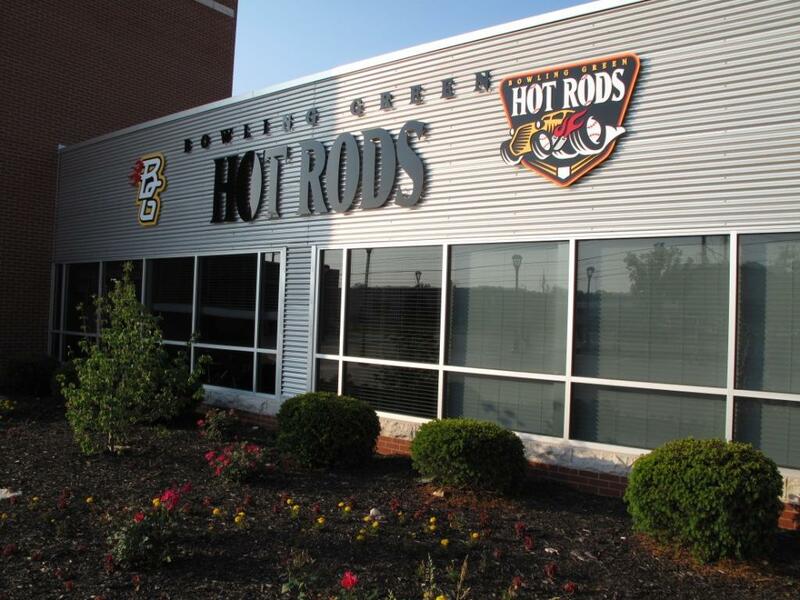 The Hot Rods nickname comes from the fact that Bowling Green is home to the General Motors plant that makes the Corvette, and there is also a drag race track in the area. The Corvette is the official sports car for Kentucky. 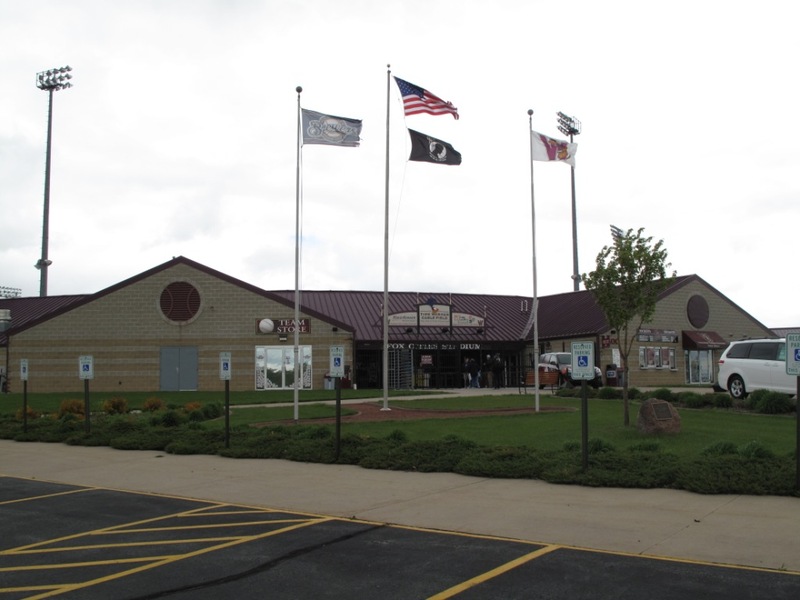 Now the question can be asked, “How is Bowling Green part of the Midwest?” Well, it’s not, really, but the team moved over to the Midwest League in 2010 (as did Lake County) from the South Atlantic League. Bowling Green’s nearest league opponent is Dayton, and that’s still more than 250 miles to the north. South Atlantic. Midwest. 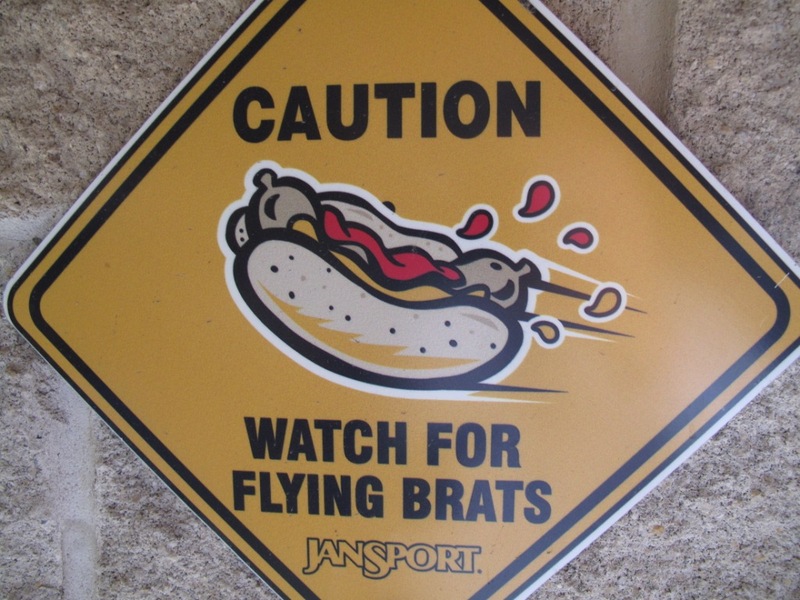 It doesn’t matter to Hot Rods fans and Bowling Green. They’re just happy to have a minor league baseball to watch. Be sure to check out the video report from Bowling Green! 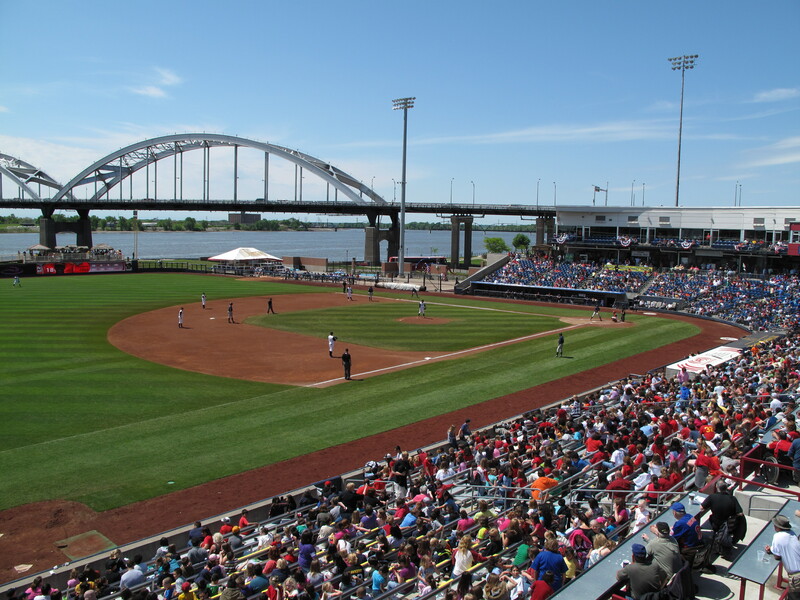 There is one thing that is indisputable about Modern Woodmen Park in Davenport, Iowa, home of the Quad Cities River Bandits. 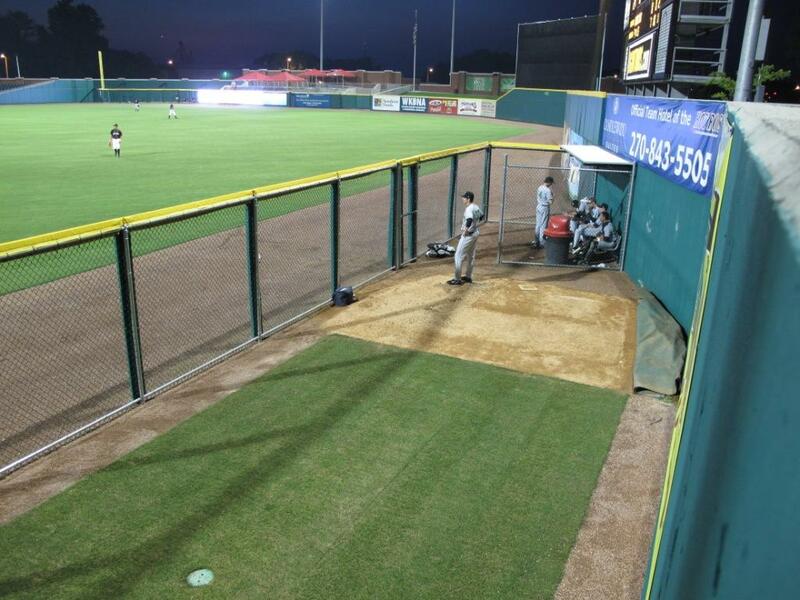 It offers baseball fans the best view in the Midwest League, and one of the best anywhere in minor league baseball. Municipal Stadium opened in 1931. 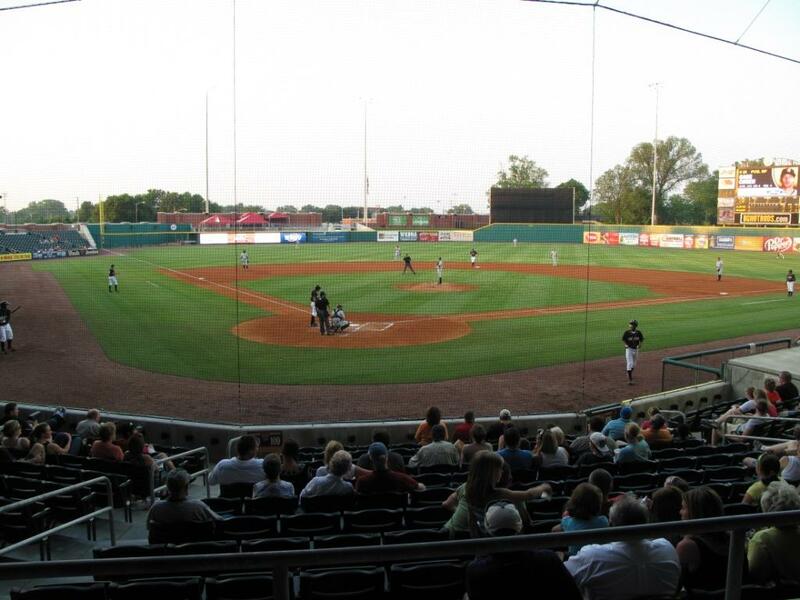 It later became John O’Donnell Stadium. Then most of that park was torn down after 2003, the exception being the facade of the ballpark. Home plate is pretty much where it was before, so depending on how you want to look at it, the ballpark is either the oldest in the league, or one of the newer ones. I say it’s one of the newer ones. Yes, parts of it date back to the ’30’s, but the park feels like it was built in the last ten years. The River Bandits are an affiliate of the St. Louis Cardinals (although the affiliation has bounced around…it was a Twins affiliate for several years, including 2002 when Joe Mauer spent his season in Davenport) which makes sense since Davenport is about 275 miles north of St. Louis right on the Mississippi River (don’t forget, AAA Memphis is also on the river!). And not only is Davenport on the Mississippi, the ballpark is too. And sometimes, the ballpark has had the misfortune of being in the Mississippi. 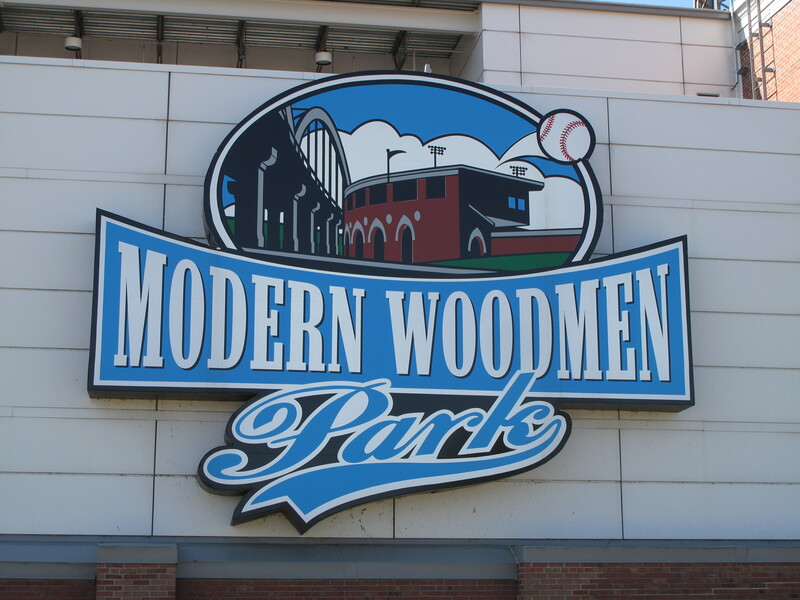 Located on the edge of downtown Davenport, Modern Woodmen Park is literally just feet from the river. 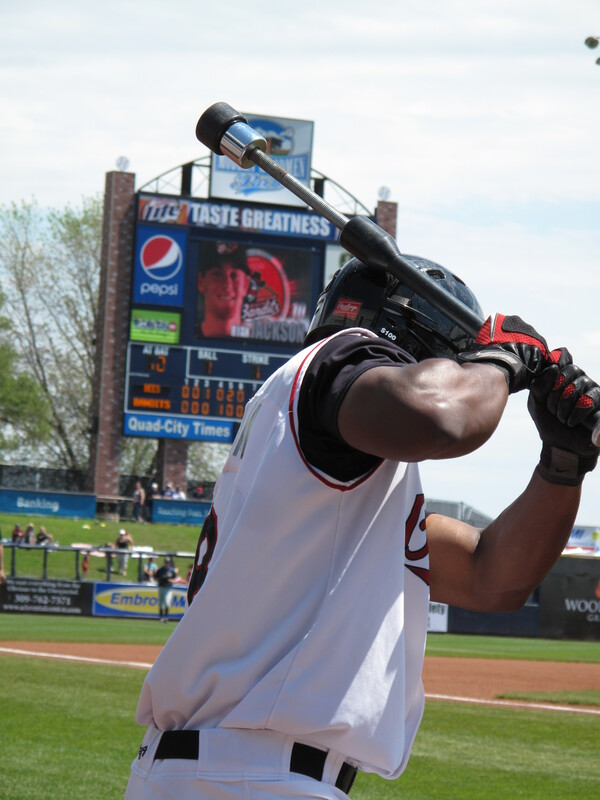 Barry Bonds, steroids or not, could hit one into the river, most minor leaguers can’t. In addition to having the river right by the park, the Centennial Bridge adds to the backdrop, especially when the lights come on at night. It is a fantastic location and view, one that is a rare find in baseball. The problem of course is the spring flooding. 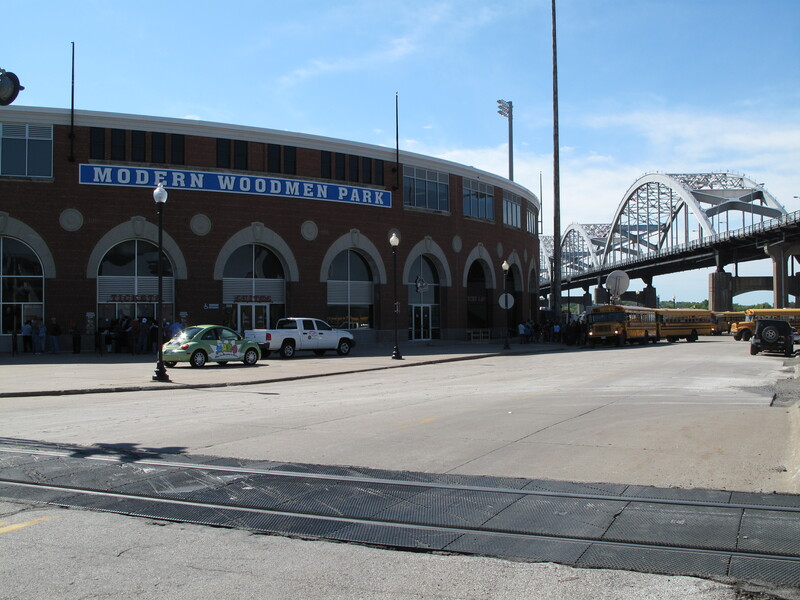 Modern Woodmen Park has flooded several times in its history. 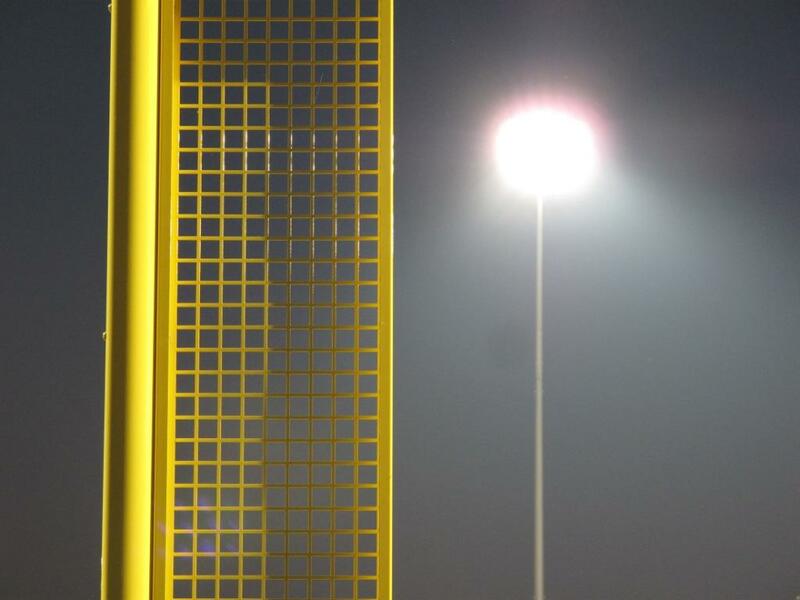 This has resulted in the team playing games at the home of the Clinton Lumberkings, the home of the Iowa Hawkeyes, and several high school fields in and around Davenport. 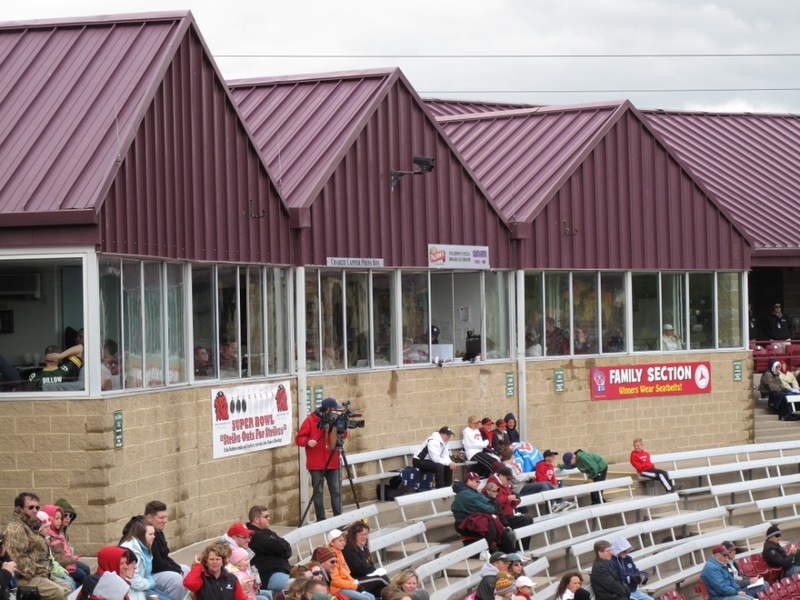 With the aforementioned renovations that were done in 2004, the club added a berm in the outfield to help protect the stadium, as well as building some walls and doing other flood-preparation work. All of that work was put to the test in 2008 when flood waters rose. These were not “over the outfield fence” flood waters like the ballpark had experienced in the past, but they were significant amounts of water. The team built a wooden platform to get fans into the ballpark, which looked like an island. That worked for a game or two, but then for safety reasons it was decided that some of the River Bandits home games would need to be moved. That said, the waters didn’t damage the field, so the team was able to return much sooner than in other years when the field was submerged for an extended period of time. 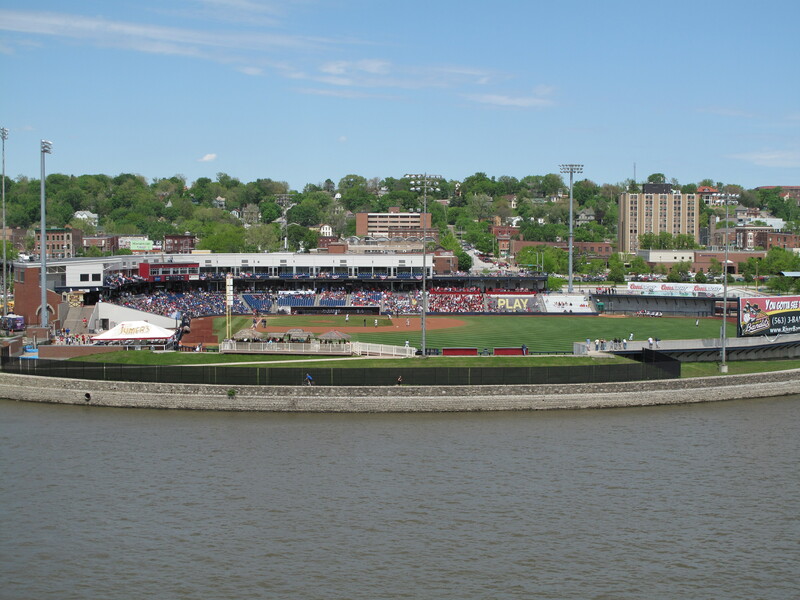 Modern Woodmen Park has many nice features including lots of outfield grass seating, a 360-degree concourse so you can check things out from any angle, restaurant and bar areas and much more. 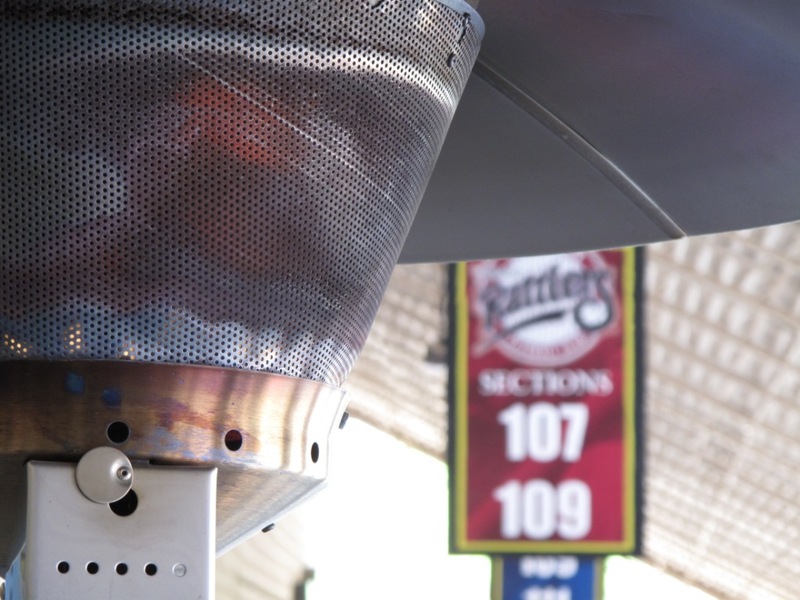 The River Bandits organization deserves a lot of credit as they really do a good job of coming up with promotions and other unique ideas to get people out to the ballpark. 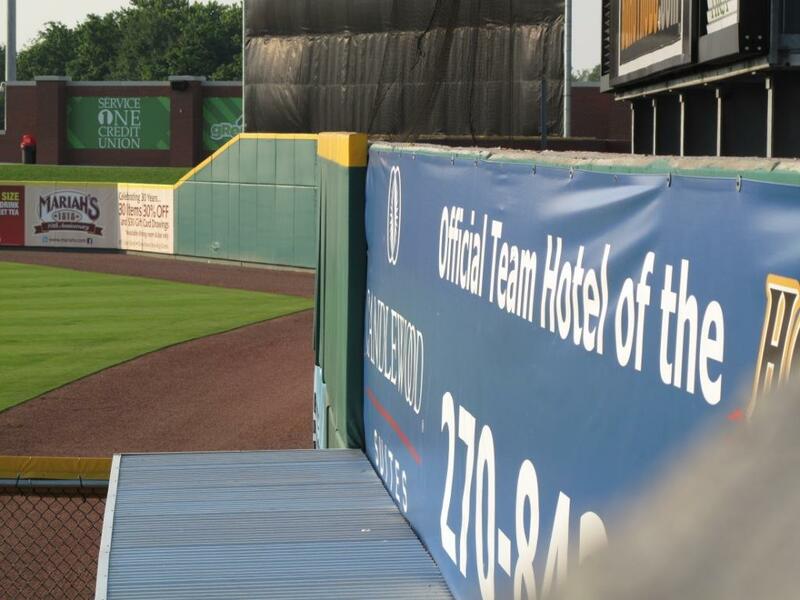 This even includes movie night on the outfield grass on weekends when the team is on the road. 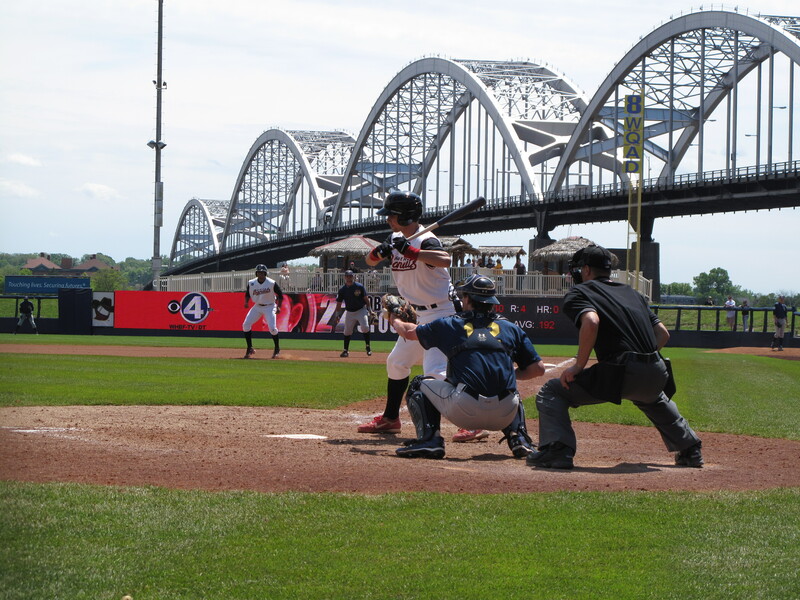 Modern Woodmen Park is a great place to watch a game. There’s a lot to like about this park, but by far and away the biggest thing to like is the spectacular location on the banks of the Mississippi River. Be sure to check out the video reports from Davenport by clicking here. Snow. It was snowing. That’s right. May 7 in the Appleton, Wisconsin, area, and that’s what the weather was like. 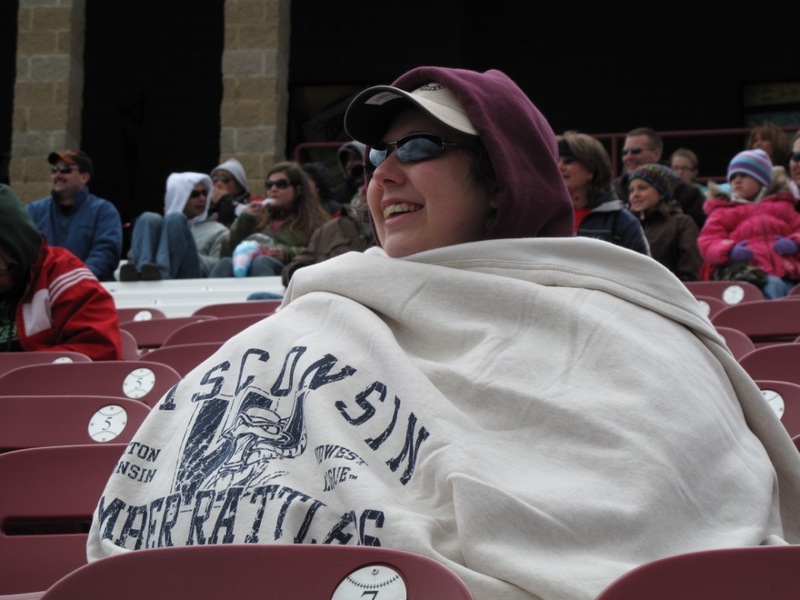 The Wisconsin Timber Rattlers are the northernmost team in the Midwest League, so maybe that was just very appropriate for my tour of the ballparks in the league. Thankfully the snow was melting as soon as it hit the ground, and 12 hours later at game time, it was long gone. 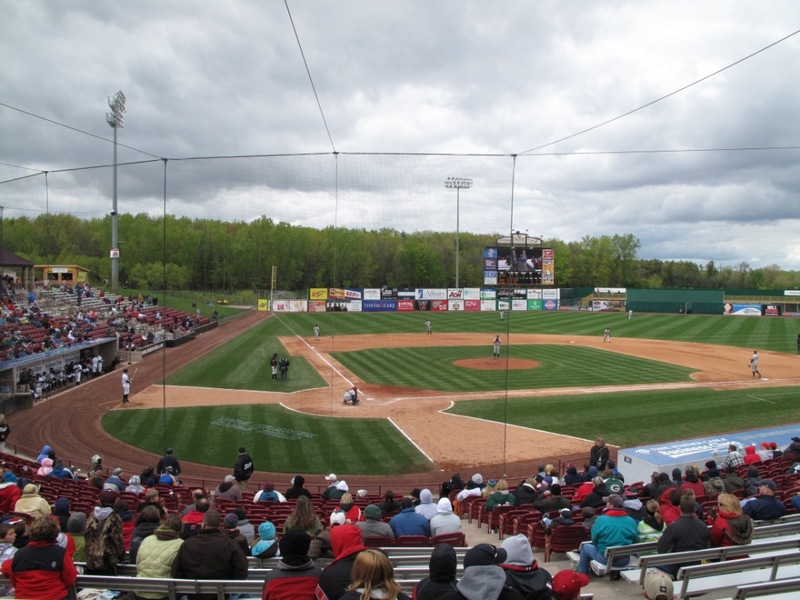 Time Warner Cable Field at Fox Cities Stadium opened in 1995 and is located in Grand Chute, Wisconsin, which is just west of Appleton. The ballpark is nice, but lacks some of the ammentities of newer parks. 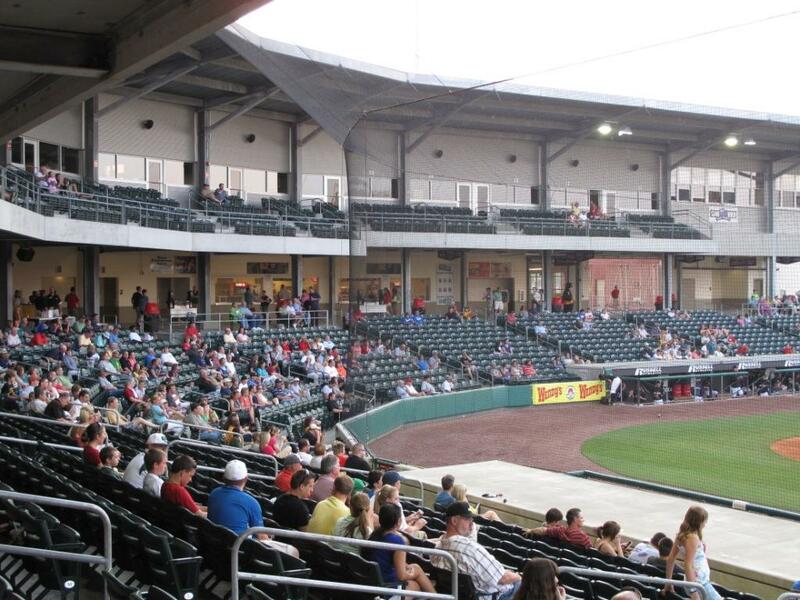 Within the Midwest League it is probably the most comparable to Coveleski Stadium in South Bend. It has a mostly open concourse with a small press box at concourse level behind home plate. The exterior is ok, but doesn’t necessarily standout. The location of the ballpark is near a shopping mall and a major highway meaning it’s easy to get to and there is plenty to do near the park, but the fact remains that the stadium is pretty much just surrounded by parking lots. 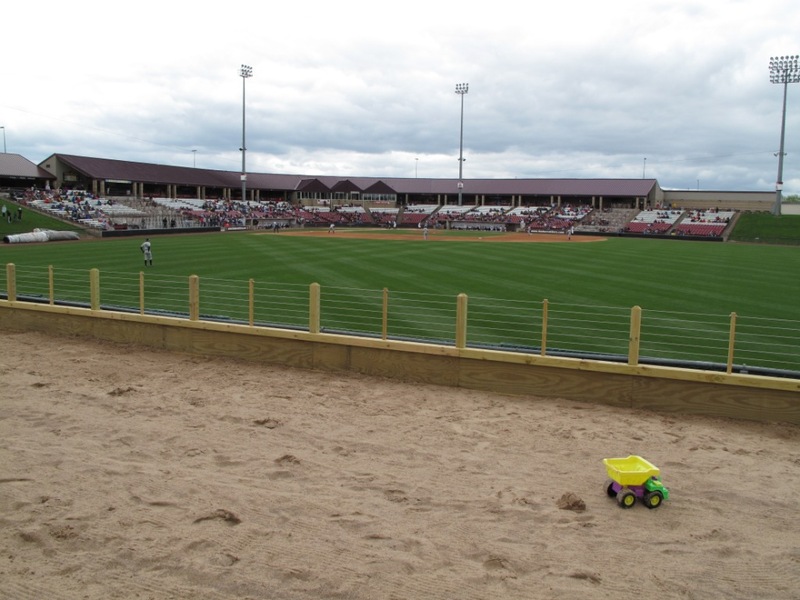 Give the Timber Rattlers organization a lot of credit though, they’ve put in some very nice features. There’s a restaurant/bar, plenty of group seating options throughout the park, and a new addition, there’s a giant sand box in right-center field, much like what Petco Park in San Diego has. So although the ballpark isn’t the newest, flashiest, park in the league, it’s clear that the club has made efforts to give fans a great night of entertainment. 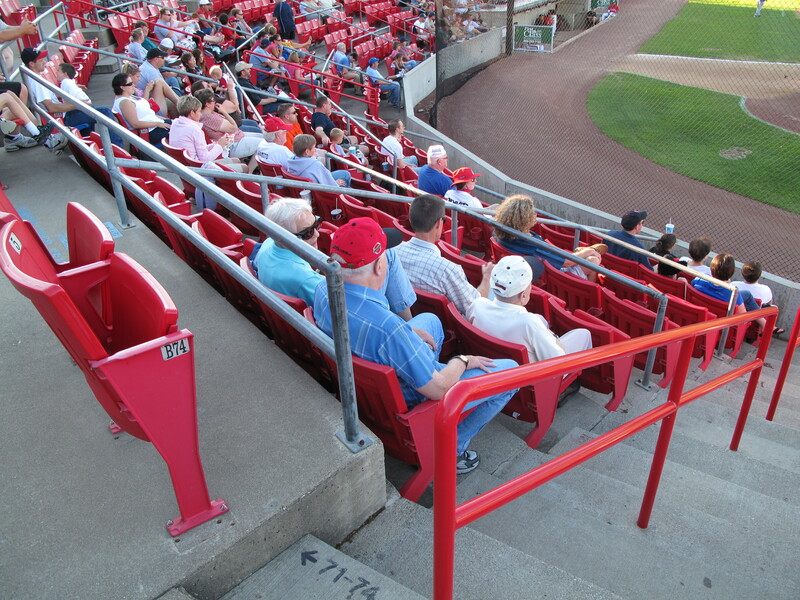 It’s also clear that the fans in the Fox River Valley enjoy coming out and supporting the team. 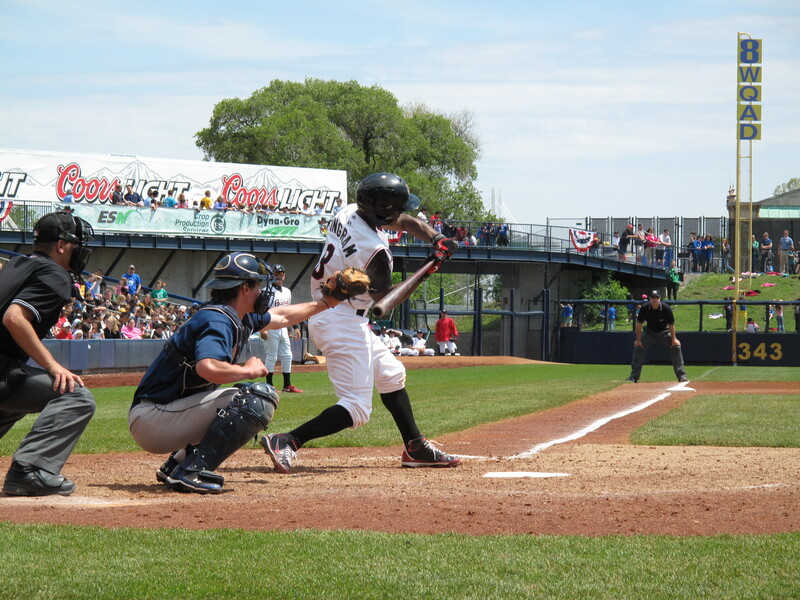 Part of that is probably due to the switch at the beginning of the 2009 season from being the longtime Mariners affiliate in the Midwest League, to having an affiliation with the in-state Brewers. They’re also tough fans. 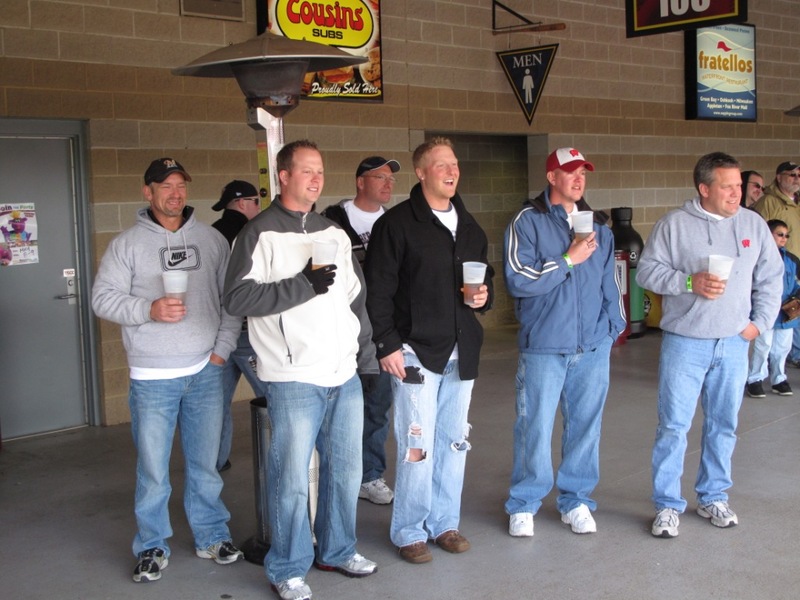 It was 46 degrees at first pitch on the day I was in Grand Chute, and there was a very good crowd who didn’t seem to mind the weather…probably because they have years of experience toughing out much worse weather 30 miles north in Green Bay at Lambeau Field. The team gets credit for having plenty of heaters placed throughout the concourse so fans can easily warm up for a few minutes by them. 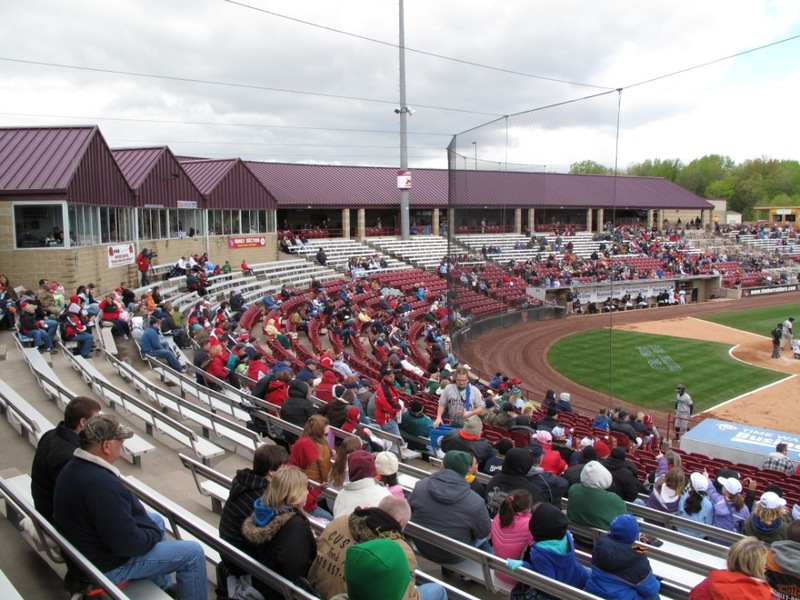 One other thing of note for college sports fans…Fox Cities Stadium has hosted the NCAA Divison III World Series for many years now. Clearly the NCAA likes this ballpark and Grand Chute, or they wouldn’t keep the tournament coming back year after year. 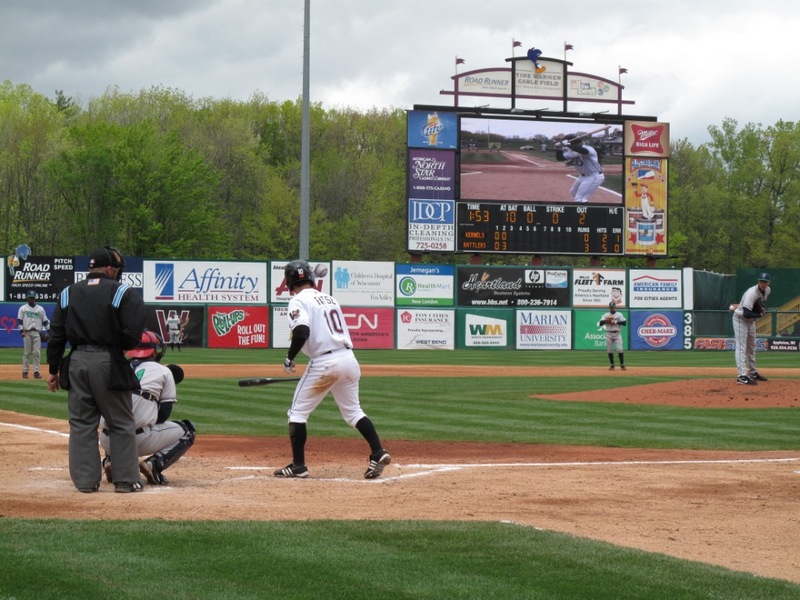 Time Warner Cable Field at Fox Cities Stadium is not a great park of the league, but it’s a venue that has had some money invested in it, and the fans really come out and support their club. That’s worth some serious points right there. 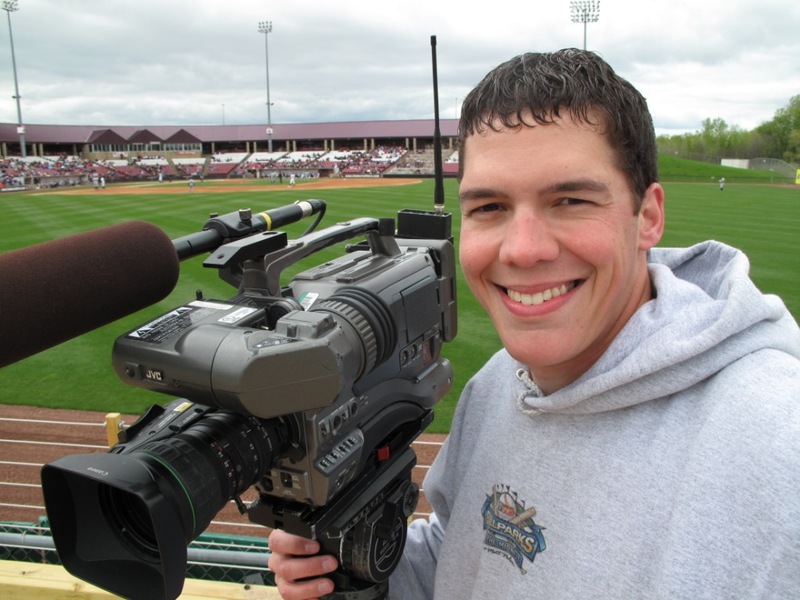 Be sure to check out the video reports for Time Warner Cable Field at Fox Cities Stadium here.